Using Class Books to Get Students and Their Families Feeling Comfortable in Kindergarten! We are in week three of Kindergarten. Phew! September is always such a crazy ride! One thing that can add to the craziness of the ride is the need for families to feel connected and have an idea of what their child is doing all day without them. I use class books all school year long, but I use them during the first few weeks of school to really help facilitate conversations at home between students and their families. Completely simple, yet 100% effective! We compile the books in class and I put them together using whatever method is quickest and most simple at the time! No fancy binding, just a quick durable book. Why the hurry? Well, I want to get the books into the homes of the students as soon as possible! Parents are dying to know who their child is playing with at school and what they are learning. These books open the communication needed for parents to find those answers. Even more though, I've never met a Kindergarten student who didn't light up with excitement when sharing a class book with his/her family! Really! Ultimately, isn't this what parents need; reassurance that their child feels good about their new step in life, school?! You know those first day of kindergarten pictures we all take? Well, I print an extra copy for our very first class book. 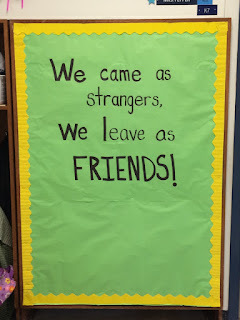 On the first morning of kindergarten, I purposely read a story to them that I am 99% sure they also read early on in Pre-K. Tears stop when they realize they have a connection. 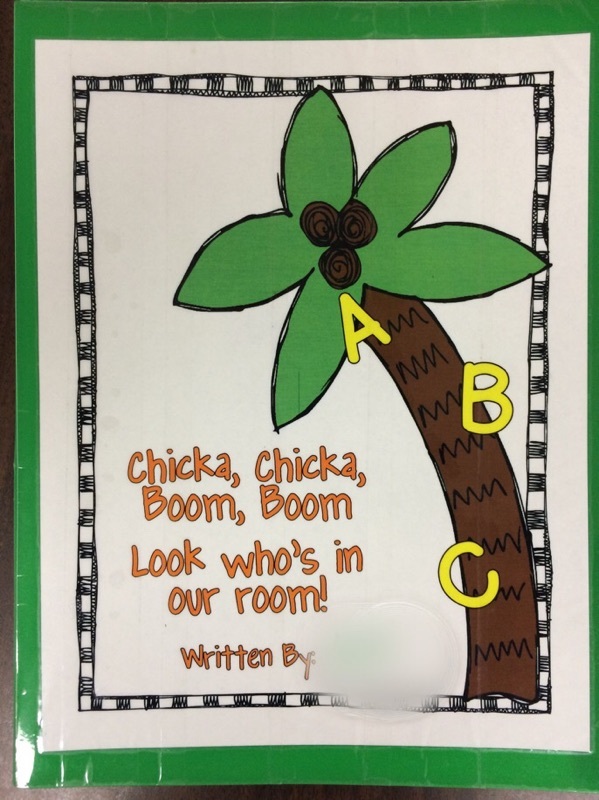 So, Chicka, Chicka, Boom, Boom is a staple in my classroom on the first day. 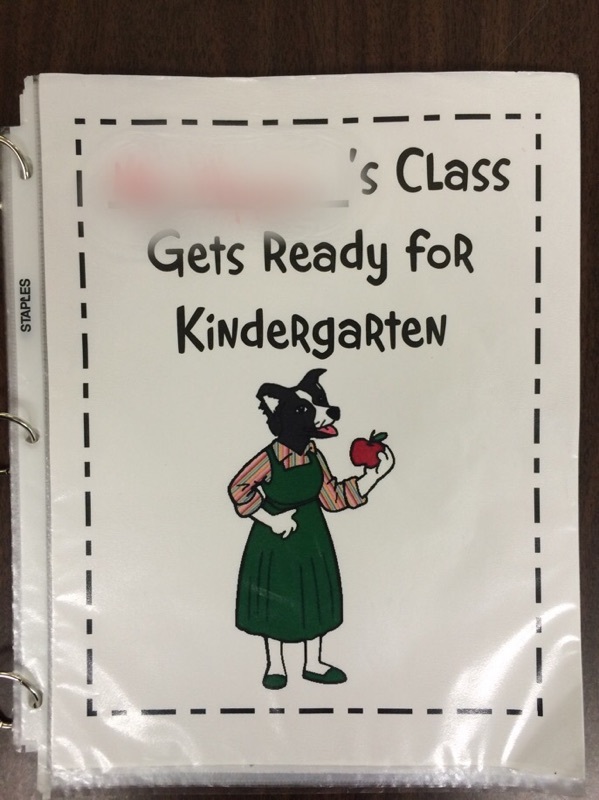 Later on in the first day, or sometime the next day, (depending on how fast I can get the pictures printed and glued into the book), I share our first class book with the class. As soon as I have the book ready, I slip a class list in the back, and send it home with a kiddo. They bring it back the next morning, I check off another name on the list and send it home with that child. In just over two weeks, it makes it home with every student. Families LOVE it! 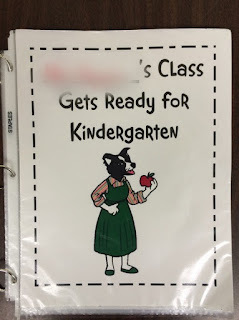 Another go to book that I read on the first or second day of kindergarten is "Miss Bindergarten Gets Ready for Kindergarten". The kiddos really love the endearing teacher and students in the book. 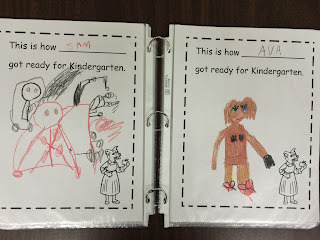 We have a nice discussion about how each of us got ready for kindergarten. 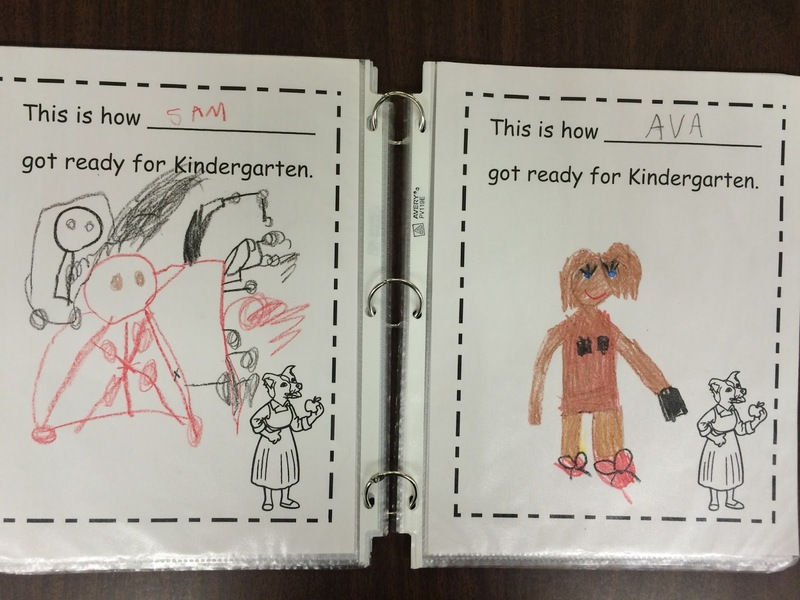 Then the kiddos head off to show how they got ready for kindergarten on the response page. Peace, Love, and Learning's Blog! After the kiddos have finished their responses, we have our first author sharing time! Then, I slip the pages into a class book, slide that class list in at the end, and send it home for the night with the first student. Again, in just over two weeks, the books makes an appearance in every home. After we've settled in for a few days, we start working with specific letters. 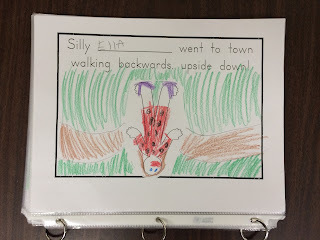 One of the first letters we explore is the letter S. While doing so, we read the story, "Silly Sally". As an early retelling activity, the kiddos complete a page for, you guessed it, a class book. The little person is just a basic blackline clip art that I cut out ahead of time and give to students to illustrate as themselves. 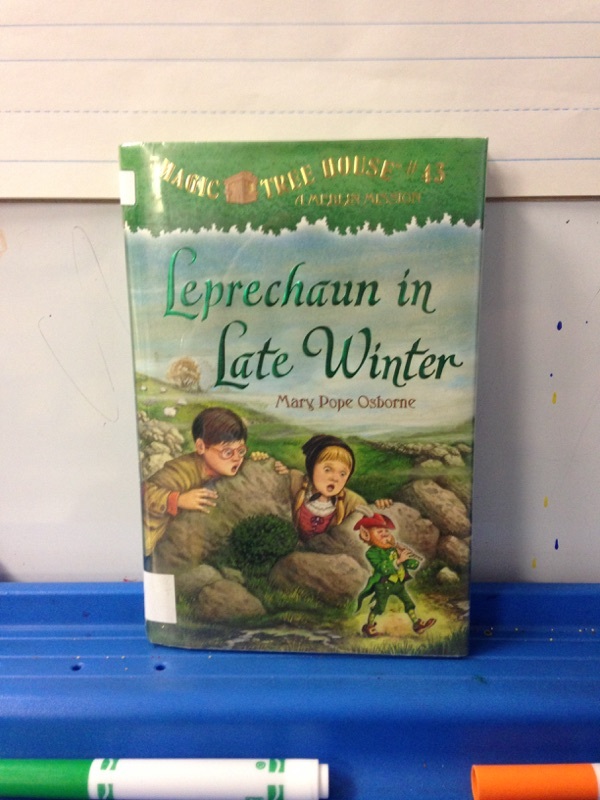 The cover and pages in the book are a decade-old word document, BUT the kiddos love to choral read the story and to share it with their families! So, as soon as we've read it together as a class a few times, I slip a class list in the back and start sending it home with a student each night. These class books are SO simple and require little extra work. They may not be Pinterest worthy, however, they have a very important job to do. They help form a solid foundation of comfort for the students and their parents. They build trust- trust that their child is making friends ("I sat next to her at lunch today", "I played tag with him on the playground today"), trust that their child is learning, and trust that their child is having fun at school! This trust is more important than any academic lesson I could teach in the first few weeks of kindergarten! 3 Things You Can Do in May to Make Back-to-School Easier! I am married to a Certified Public Account. He works 80+ hours a week during tax season. He is adamant that teachers have two "tax seasons"- the end of summer/first month of school, and the last month or so of school. Of course, there are always those weeks (or months!) where we are totally slammed by report cards, IEPs, etc... I appreciate him noticing how much time and effort go into getting a school year up and running! 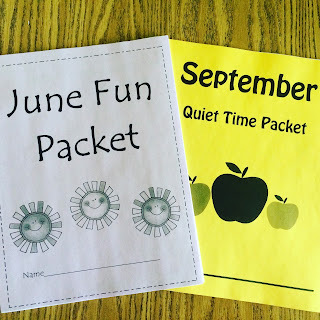 After 12 or 13 years of teaching, I finally started remembering to start prepping for Back-to-School time during May and June! Here are three time savers that I REALLY appreciate having done come September! 1. PURGE!!! As I'm going in and out of my filing cabinet during the last 8 weeks or so of school, I pull files and such that I haven't touched all school year. In my early years of teaching I had such a hard time letting go of things. "What if I need that paper someday?" "What if I decide to move to another grade next year and this paper would be useful then?" After a decade of rarely needing that "someday" paper or file, I'm starting to have an easier time of letting things go! During my planning time last week, I had 4 minutes to spare before I needed to head to the Art room to pick up my kinders. I opened a drawer of my filing cabinet and took a quick look. I pulled out several files I hadn't touched in two years. I pull out my September folder in May and leave it on my teacher table. Each time I head to the copy room, I try to grab one thing from the September folder. I have a bin in my classroom where I put the September copies. 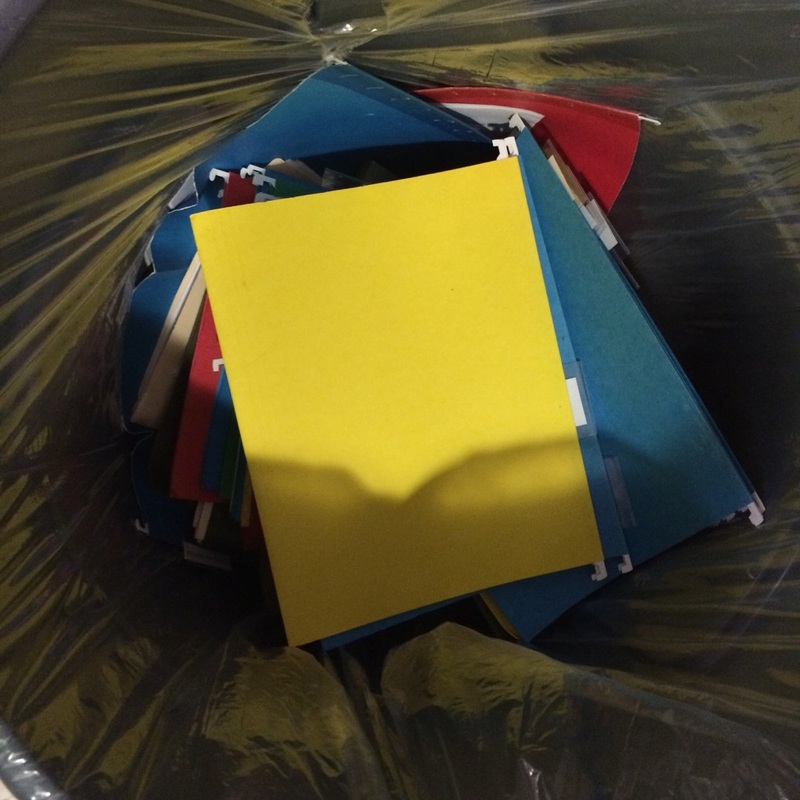 It is a great feeling to see that bin fill up before the school year even ends! 3. (My favorite hack!!) 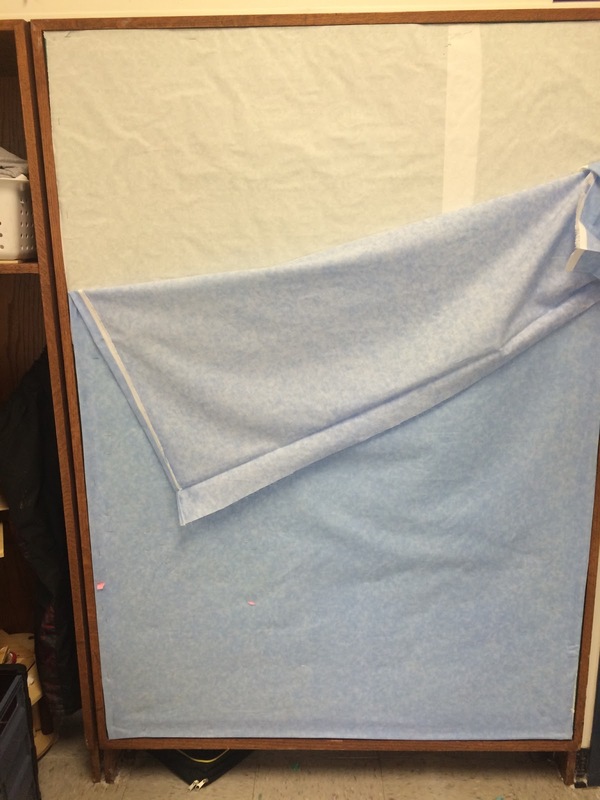 Layer your bulletin boards!! I finished this one with 5 weeks left in the school year. It may be the only one I get to, and that's okay with me. It's still one less afternoon I'll need to spend at school at the end of my summer break! 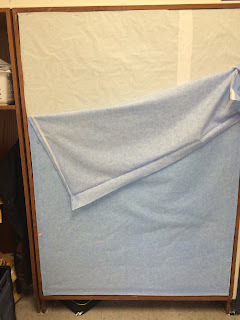 First, I took down the cloth I had for my current bulletin board display. 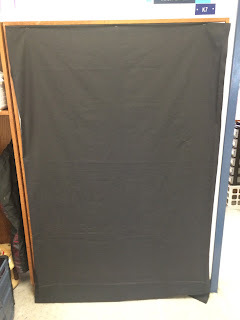 Next, I covered the board with the fabric that will be the background of my first bulletin board of the school year next September. 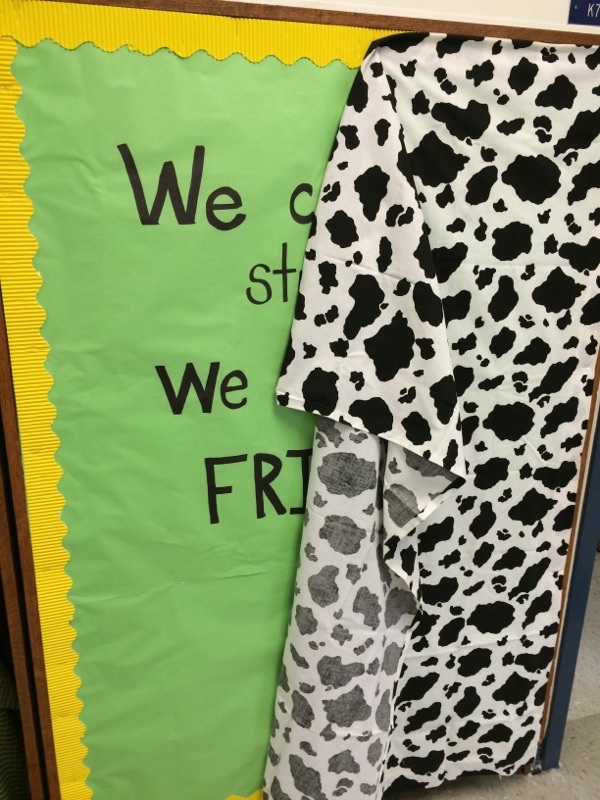 Then I put up my June bulletin Board. 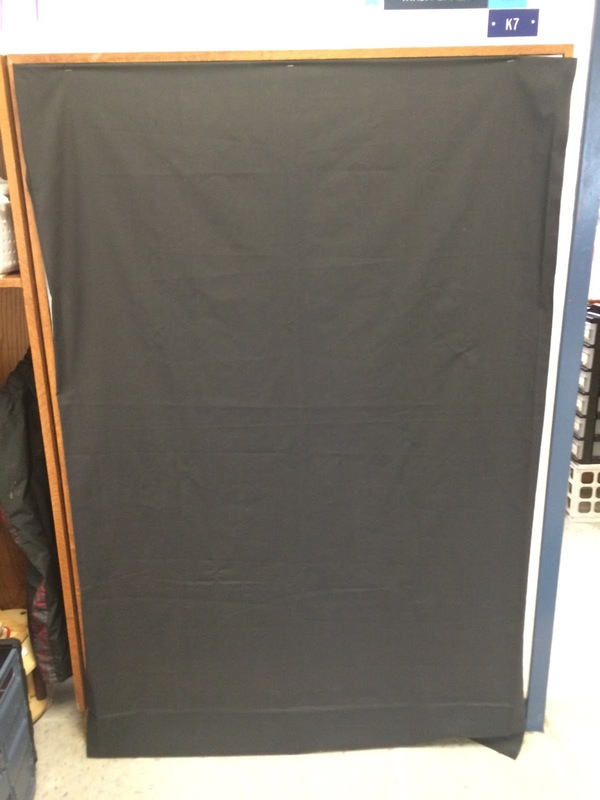 The kiddos will put their hand prints and names on this board and it will stay up for our end of the year celebration with families. Next, I put on the background of our May bulletin board and then completed the entire bulletin board. 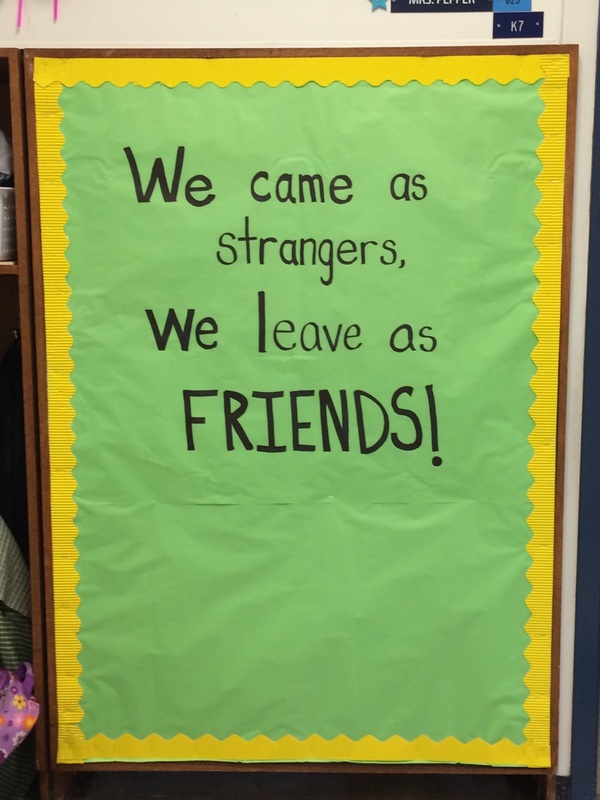 This is one of my absolute favorite bulletin boards! It makes me happy to look at it! However, it makes me even more happy to know that my end of year and beginning of next year boards are prepped behind it! Thinking ahead has made a BIG difference in how relaxed I feel over the summer! What do you do to prep for the next school year before the current one ends? Leave a comment with your favorite tip!! Hold tight, fellow teachers. The end of the school year is coming. Your nerves may be frayed. Your patience may be running thin. You may be wondering how you will let go of these students you have come to love over the past several months. You may not feel that you are making a difference or that you are appreciated. Let me remind you of something- you ARE making a difference and you ARE appreciated! You are doing amazing things each and every day! You are making an impact more than you could ever know! 2. 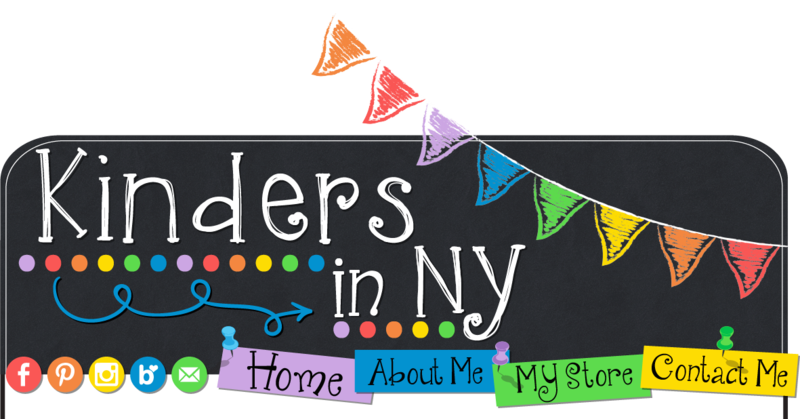 Visit Kinders in NY and a trove of other talented teacher authors on Teachers Pay Teachers. All of our products, including these best sellers will be 28% off! The giveaway is a quick one, so don't delay!! The winner will be announced at 9:30 pm (EST) on 5/3/16. SO...browse and add items to your cart all day long on 5/3, and then use your gift card to check out anytime after 9:30 pm on 5/3 or on 5/4/16. Good luck!! 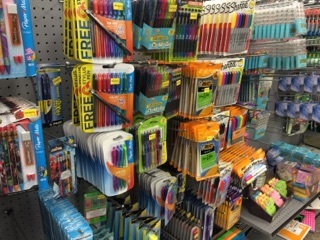 10 Products you NEED for your classroom from five Below! 2. Smellies!! Do you dab a scented chapstick on the hand or wrist of your kiddos as a reward? 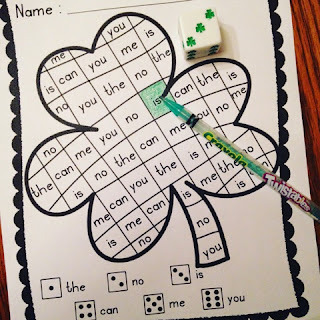 I have never heard of this until a year or so ago but my Kinders LOVE it!! 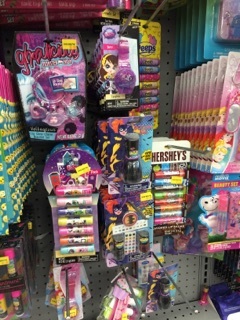 Check out the great variety of scented chapsticks at five Below! It's so easy to stock up during a quick trip to the store! 3. 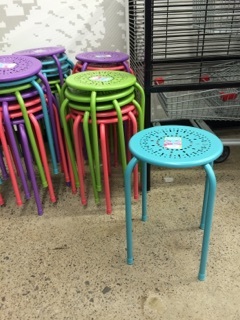 Fun stools!! These are perfect for so many things! Alternative seating? Check! 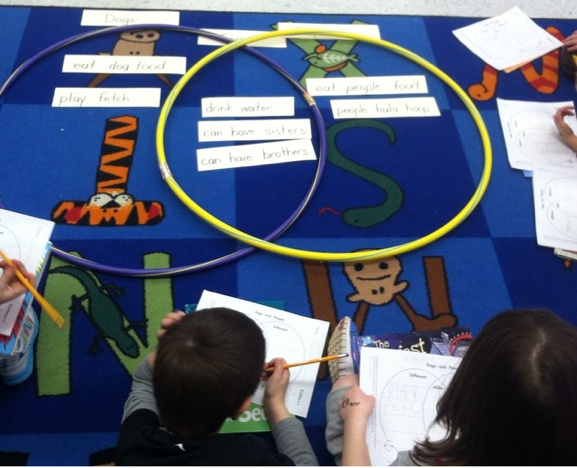 Guided Reading table? Check! Teacher stool that travels to student tables? Check! 4. Hula Hoops! 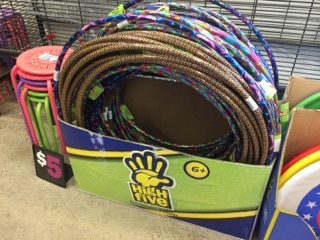 My kiddos love to use hula hoops for both indoor and outdoor recess so I buy several for that purpose. 5. 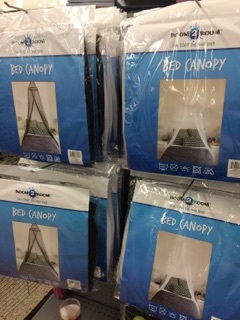 Make a cozy reading corner using a bed canopy! You can buy cute lights to put in the top of the canopy as well! 6. 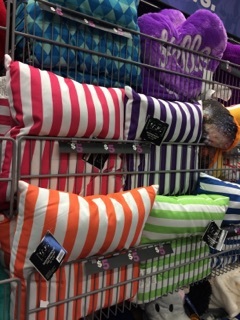 Cozy reading corners and classrooms NEED fun pillows! 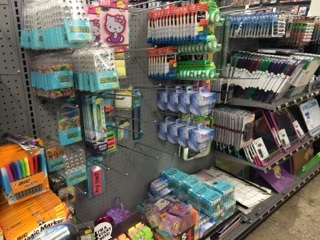 There is always an abundance of them at five Below! 7. 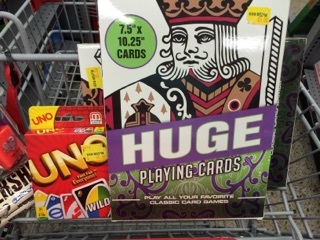 I have never seen cards this size locally before finding them at five Below- they are HUGE playing cards! We use them for all kinds of math fun- addition, subtraction, comparing numbers... 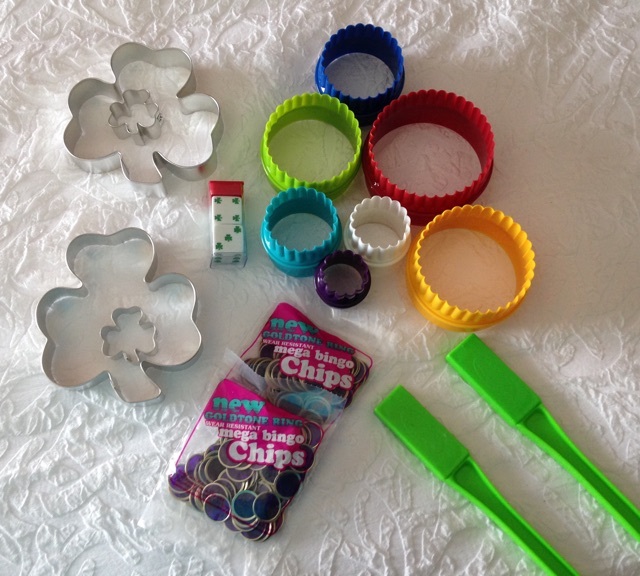 The kiddos LOVE them and I love the sturdiness and the price! 9. Take the learning outside with some great products that can be used for math and language arts, and even double as recess toys! 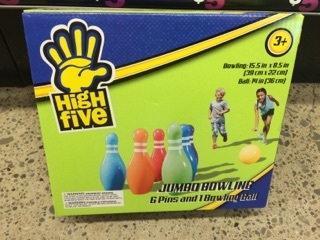 Jumbo Bowling!? I grabbed a few sets and will be using them for subtraction practice in the sunshine next week! 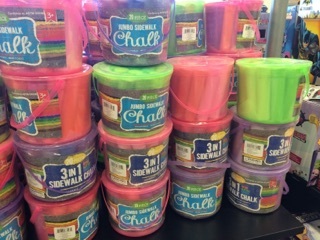 Sidewalk chalk? The possibilities are endless! 10. 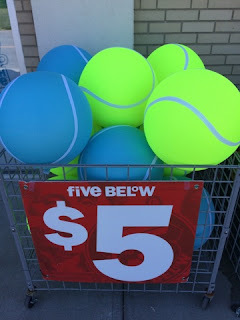 And when it comes to outdoor recess, there is never a shortage of unusual balls and toys at five Below! These HUGE tennis balls are my new favorite! 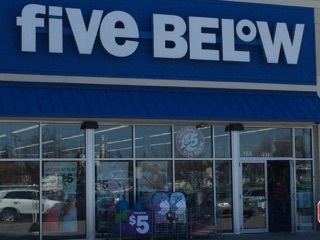 Truly though, if you are a teacher with a five Below in your neck of the woods, head on over. 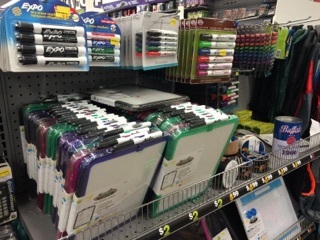 Your classroom will thank you! 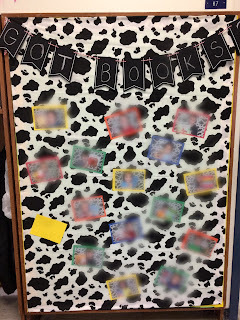 5 Benefits of Collaborative Class Books!! I have a confession to make. 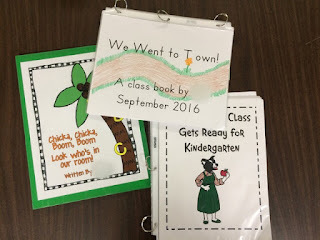 I have a little BIG obsession with collaborative class books! 1. Purpose! Kiddos are writing for an authentic purpose and then are reading with purpose as well! 2. Along with purpose, kiddos feel a huge sense of pride in their work! 3. 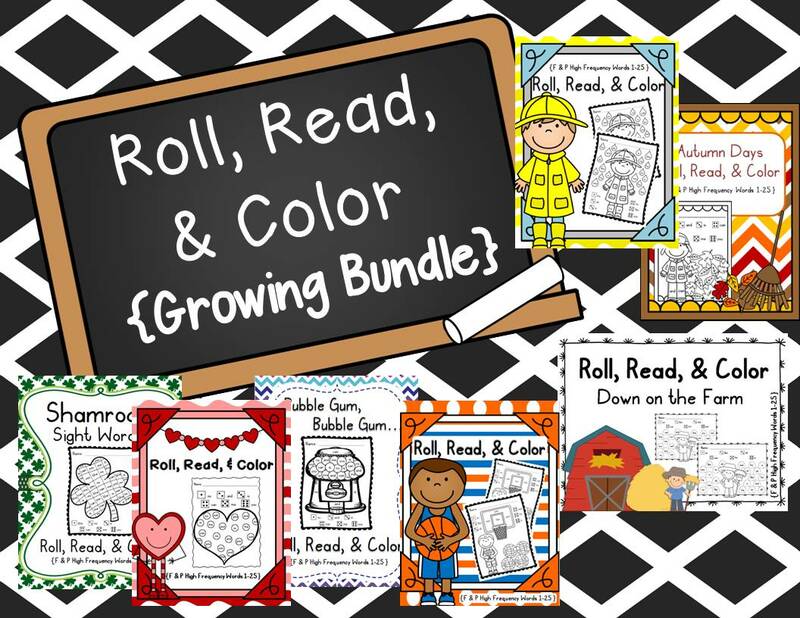 Shared language experiences help grow kiddos as readers! 4. Students learn about the role of the author, the illustrator, and the reader! 5. Repetitive text is perfect for emergent readers! How does one create a collaborative class book? For starters, you need a topic! 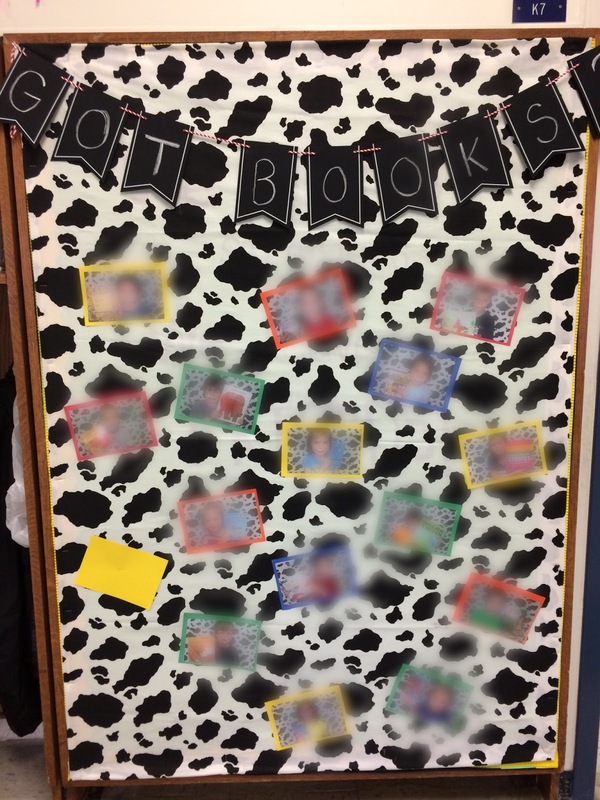 I aim to make one book each week, so our book topics align with what we are learning and what holidays are going on. 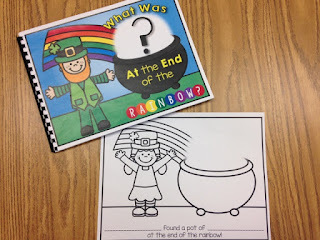 Find, or create, a template and cover that go along with your topic. 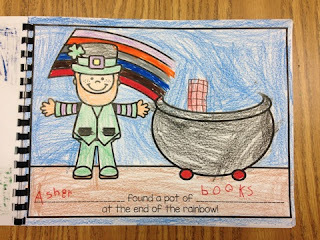 Here is what I created for one of our St. Patrick's Day writing projects. 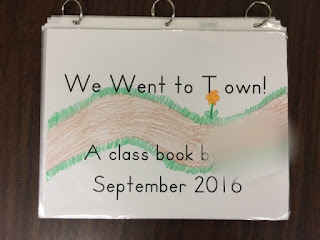 We read several fiction books during the week and talked about the ways we were lucky, so I didn't tie this class book to a specific piece of literature like I often do. We gathered on our meeting carpet and I modeled the writing. 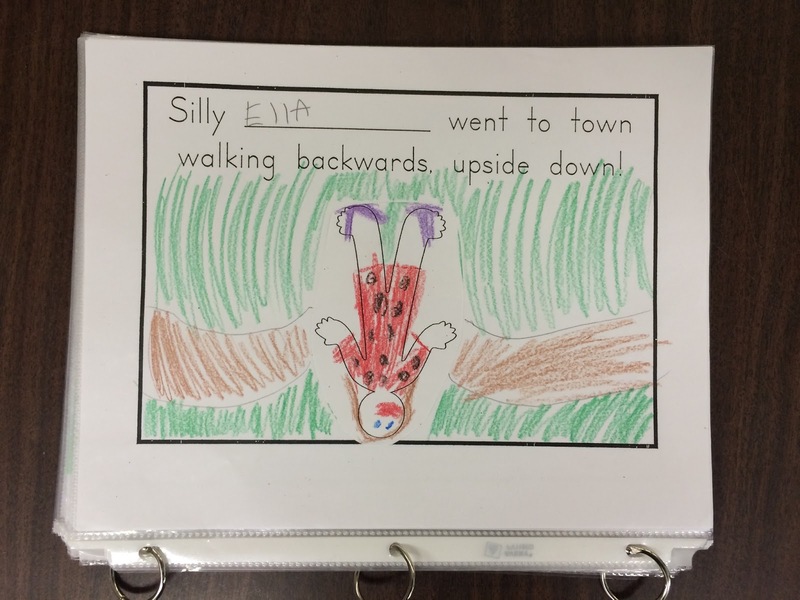 More often than not the students illustrate their pictures for class books. However, we had been having fun taking silly pictures and they asked if those could go in our book. Student requests that will lead to deeper engagement? Of course I said "yes"! And there is no denying how adorable they turned out! I always put a piece of cardstock behind the cover and on the last page when I put the books together like this. Before the collaborative class books get put in our classroom library, they go home for one night with each member of our class. To keep track of the books travels, I tuck a class list into the book somewhere and simply mark off who has taken the book home. 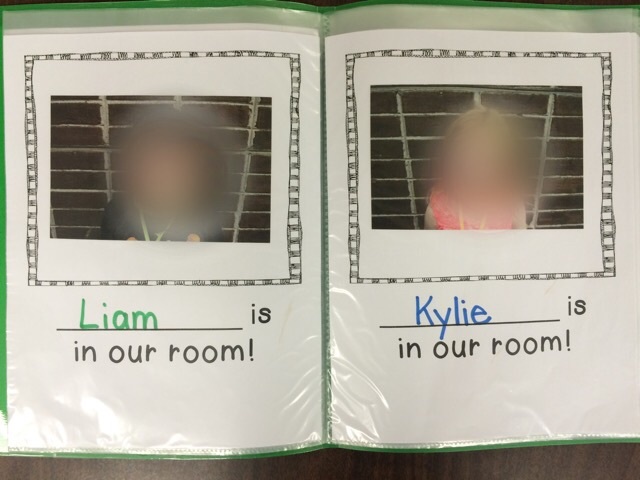 At the end of the school year, I take each student's pages out of each book and add them to their end of the year memory books. Win-win! Kiddos enjoy them all year long, and parents enjoy their child's writing for a lifetime! Check out some of our favorite class books on Teachers Pay Teachers by clicking here. 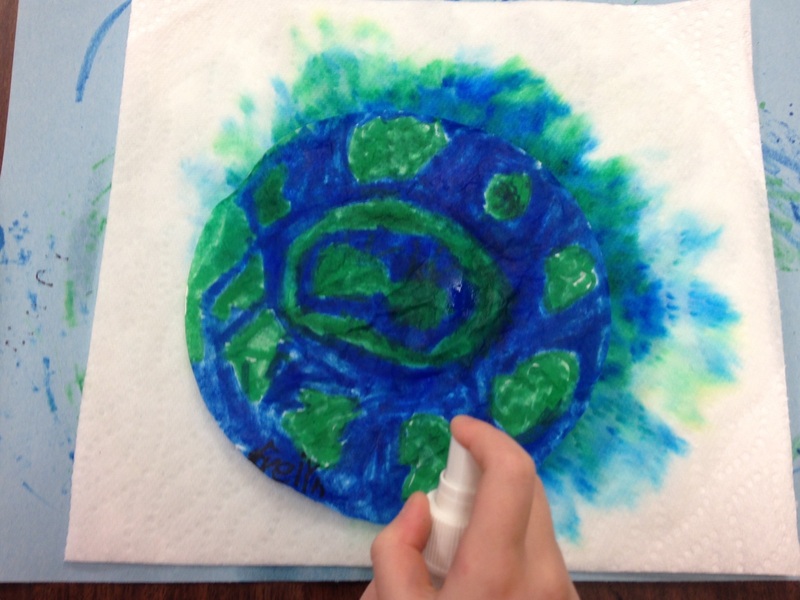 Earth Day - Our Favorite Project! Earth Day will be here in a few weeks. 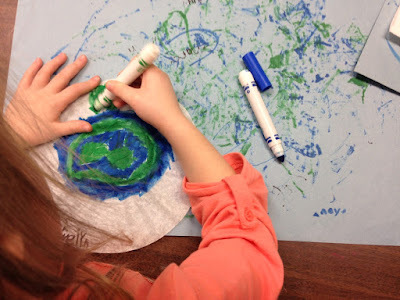 There is so much to share about Earth Day, but this post will be short and sweet, about a favorite project of my kinders every year! We did it today and it did not disappoint! SO simple! All you need is white coffee filters, a black sharpie, green and blue thick washable markers, heart die-cuts, and a spray bottle. Step 2: This is the kiddos favorite part! They use a spray bottle to mist the entire filter. 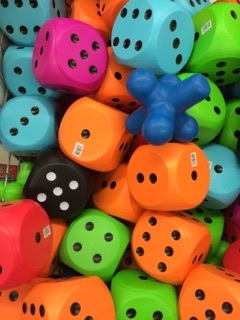 The blue and green markers bleed, while the the black marker isn't changed. Step 3: Add a heart cutout to the center once the coffee filter dries. The possibilities are endless!! This year, we used the earths to decorate our April calendar project. (The kiddos take home a calendar at the start of each month that gives the special for each day, shout outs for student birthdays, etc...) The lighting of the picture above is terrible. The background paper is actually light green, and the calendar itself is printed on light blue paper. In the past we have used it to go along with a writing prompt, "I promise to take care of the earth by..." They also make lovely window decorations! However you celebrate Earth Day with your littles, this project is sure to be a favorite! 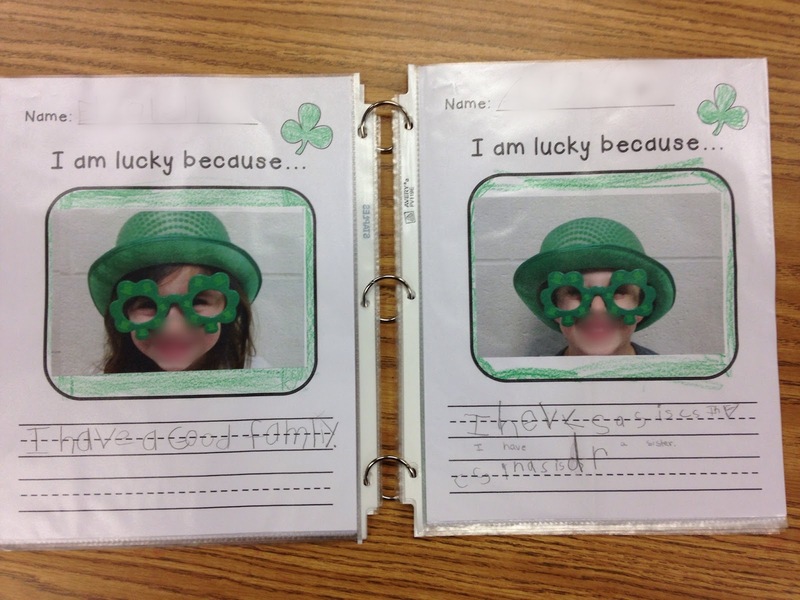 It's the start of St. Patrick's Day week in Kindergarten. 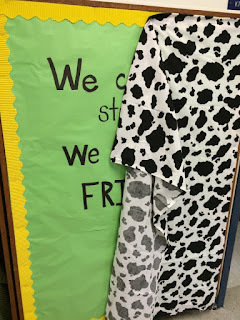 We have a lot planned, and I will follow my kinders lead on how much we dive into some things, but I couldn't help but want to share the start to our week. I happened upon an amazing store during a girls' weekend away last weekend (You can read about that here.). 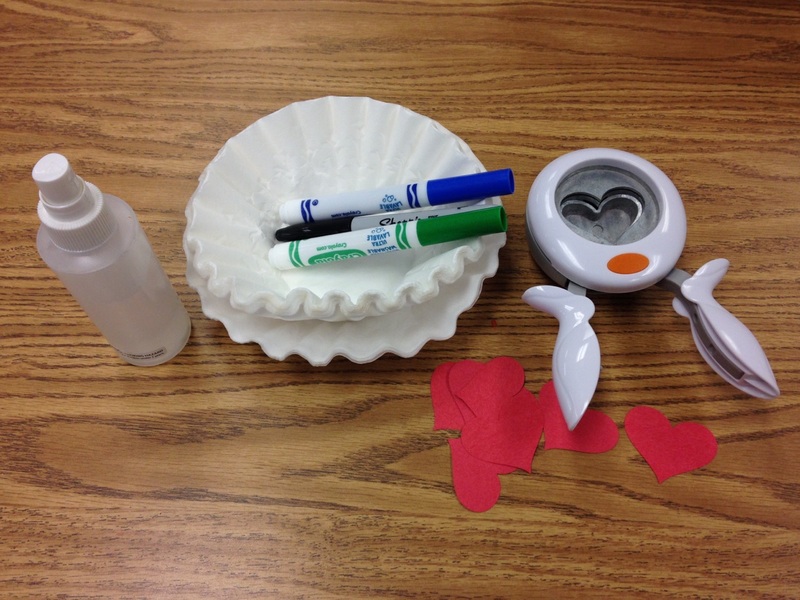 I was thrilled to find so many fun things to use in my classroom! 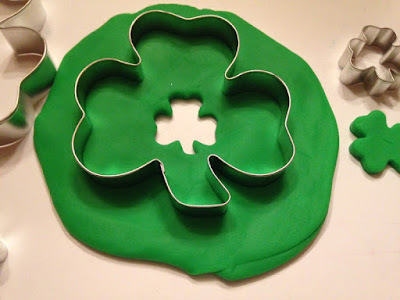 Check out the cookie cutters and the shamrock number cubes!! We use them for every season! You can get them in a Growing Bundle here. Our read aloud for the week (we started it last week) is "Leprechaun in Late Winter", part of The Magic Tree House series. My kinders LOVE, LOVE, LOVE listening to chapter books! This is the first Magic Tree House book I've read to them and they are hooked! 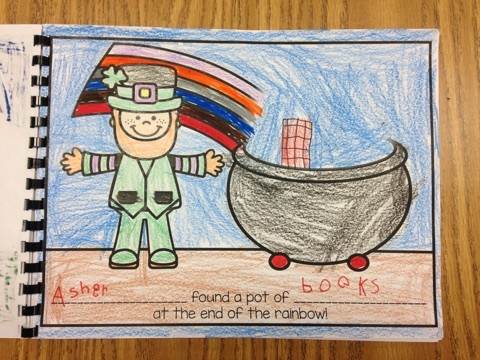 And finally, we finished our class book for the St. Patrick's Day project exchange I signed up for via the Simply Kinder group on FaceBook. Teachers are paired up to exchange stories... You and your partner teacher can choose your own stories (class books) to have your classes complete or choose one that is ready to download. My partner and I chose this one by Simply Kinder. 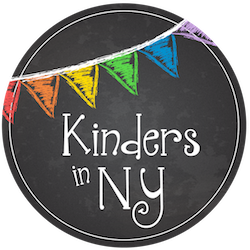 If you are a Kindergarten teacher and are not part of the Simply Kinder group, RUN to FB and join the group! It is a treasure trove of ideas and support! Phew! Today was a busy Monday! We have some fun days ahead of us this week! What are your favorite activities to do for St. Patrick's Day? I'd love to hear about them in the comments or on our FaceBook or IG pages!